Beginning her tenure in July 2017, Dr. Dempf’s career has been characterized by a commitment to the values present in the Goals and Criteria of Sacred Heart Education, even when she was preparing teachers for entry into the public school arena. Susan was raised in Troy, N.Y., by parents who understood that the lasting gifts given to a child are their faith and their education. 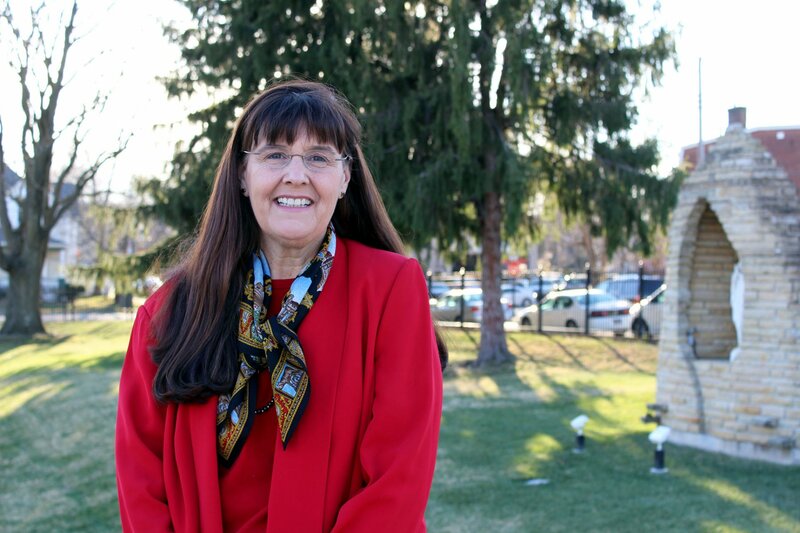 While a student at The Doane Stuart School, Susan participated in the ‘American Experience’ and, in doing so, had her first exposure to the Network of Sacred Heart Schools. The program brought high school students from across the country together to explore and learn about both the diverse regions of our country and the great outdoors while on a six-week cross-country camping trip. 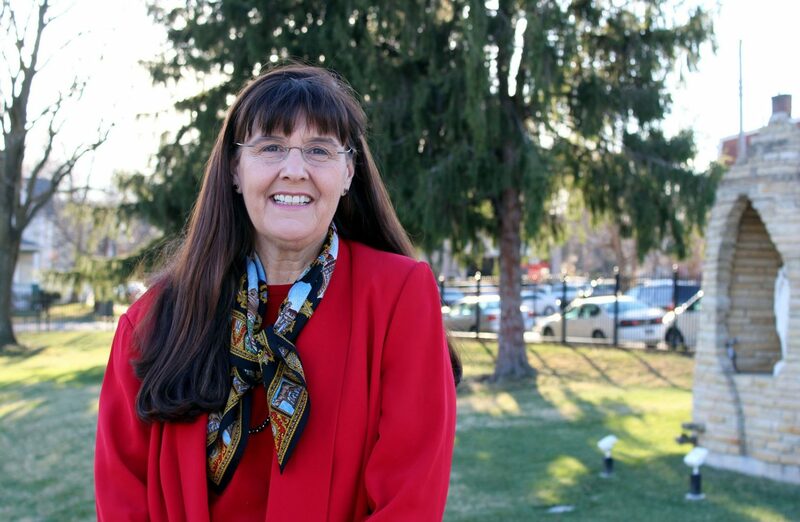 As a newly minted Sacred Heart alumna, Susan pursued a bachelor’s degree in economics from Hobart and William Smith Colleges. There she was a two-sport athlete, active in campus life and President of the Newman Club. Graduate study in administration and teaching and curriculum followed and lead to being named a Teaching Fellow in the Graduate School at Syracuse University. A huge fan of basketball and lacrosse, Dr. Dempf is prone to wearing orange from March Madness straight through Memorial Day weekend’s NCAA Lax Championships! Dr. Dempf began her career in education as a teacher-educator, she earned tenure and the rank of Associate Professor in the School of Education at Canisius College, a Jesuit institution in Buffalo, N.Y. Always open to a new adventure, she served as a Study Abroad Professor and taught a course in the United Kingdom that investigated the role of class in British sport. Dr. Dempf went on to serve as Assistant Dean of Graduate and Professional Studies and National Program Director for the Network of Sacred Heart Schools. Just prior to joining ASH, she served for seven years as the Director of the High School at Carrollton School of the Sacred Heart in Miami, Fla. Weekends find Dr. Dempf at home, catching up with friends or chasing after her Goldendoodle and Wheaten Terrier… as they chase the cat! In between learning her name and hearing her read their own names aloud at Graduation, generations of Academy students have found Mrs. Marcia Renken in their corner. 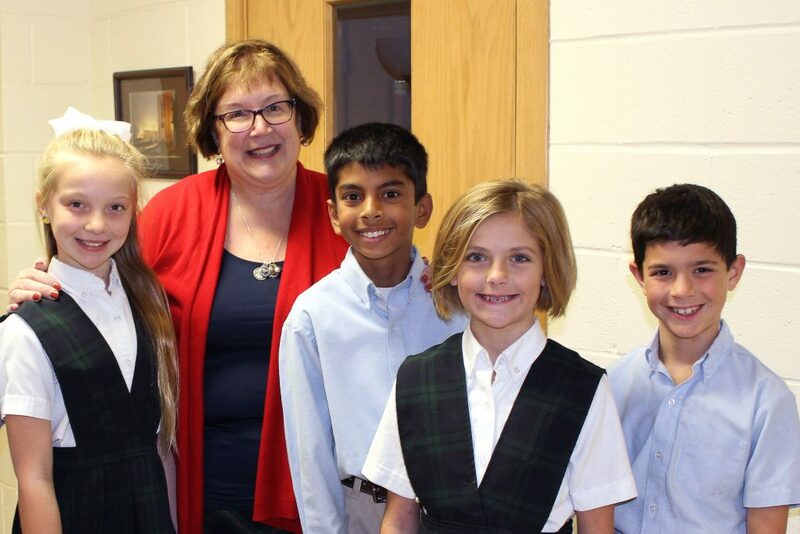 From teaching in the Lower School to leading Heart of Oak assemblies, from conversing in the warmth of her Principal’s office to overseeing Silver Teas and Prize Ceremonies, Mrs. Renken has accompanied countless ASH students on their journeys of growth. For so many, this trusted educator has become a friend. With a bachelor’s degree in elementary and special education, Marcia began her career teaching in the Special School District before arriving to teach first grade at her alma mater in 1984. She moved into administration in 1999 as Lower Elementary School Administrator, was named Lower School Principal in 2007, and accepted the role of Principal when the school returned to the one Principal model in 2014. She was recognized for being “Best Principal” in the 2016 Best of St. Charles Readers Poll sponsored by the St. Louis Post-Dispatch and Suburban Journals. This Academy graduate takes to heart the Goals and Criteria of Sacred Heart Education. Throughout the years she has been a member of task forces, action plan committees, strategic and long-range planning committees, and several of the Academy’s Sacred Heart Commission on Goals self-study committees, serving as Chair in 2008. She is a member of the Academy’s Keepers of the Flame committee and has also participated in the Network Keepers group. Marcia loves to travel, read, bake and garden. She cherishes time spent with her daughter, Katie, son, Christopher, and five grandchildren.